With (hopefully) the last of the winter storms behind us, camp season is right around the corner! We can’t believe it either, didn’t the holidays just end? To help you get a head-start this year, just as we did last year, we compiled a handy list of some of the coolest and most stylish gear we could find for your kiddos. Check it out! 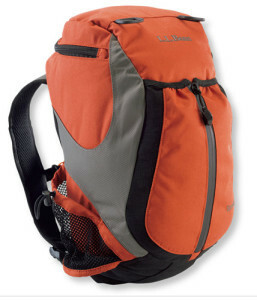 The Stowaway Day Pack is a reasonably priced backpack made from a “ripstop” material durable enough for camp! This bag boasts a lightweight design without compromising pockets for organization. The size of this bag is adult-based, making it best for pre-teens and teens who can use it for years to come. 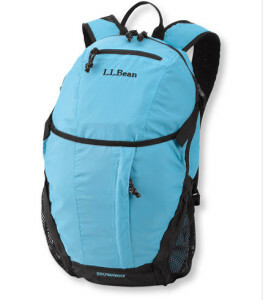 For the little ones who are headed to day camp this year, we found another great durable pack at LL Bean. This bag is a bit smaller, making a comfortable fit for your little ones ages 4 to 10. Although the size is compact, there is no compromise on storage. A huge plus with this bag is a safety whistle built into the sternum strap buckle. This was an exciting discovery for the mom’s here at Name Bubbles. These new pants designed by Land’s End make ripped knees a thing of the past with a hidden polyester patch built into the knee area. The cargo design is a perfect camp option. Girls have their fair share of accidents, too, and luckily Land’s End knows this. 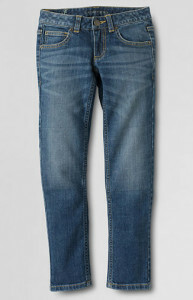 The “Iron Knee” pant is available in a denim style. 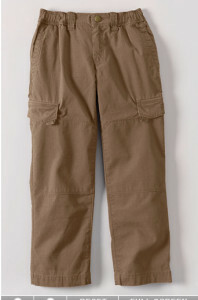 Though we really hoped to see a cargo option for girls, too, the stylish jean is a must-pack for camp. 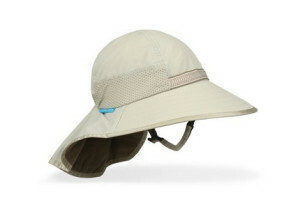 This child-size play hat is constructed from a water resistant material that also offers UPF 50+ protection. The feature that made us love this hat though is the added veil to protect the back of the neck, an area that may be forgotten when your kids are self-applying sunscreen at camp. A great toiletry bag is a huge must for your campers this year. One that is durable and offers lots of organization is even better! 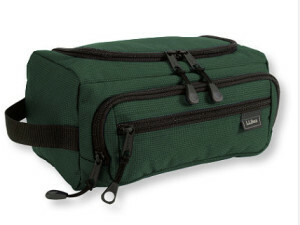 The Carryall Toiletry Kit at LL Bean might be a bit on the higher end of the price spectrum, but you can be sure it will last many camp adventures, sleepovers and vacations to come. At Name Bubbles we love a great thermos, canteen, to-go cup; really anything that will keep our beloved coffee hot and portable makes us squeal. But enough about us, these are items for the kids. Klean Kanteen offers options for the whole family. Their stainless steel bottles are BPA free, the interior will not retain flavors (yuck),PLUS they’re dishwasher safe (hooray!)! There are a variety of caps you can choose for your Kanteen including a soft silicone option for the little ones. Did we mention they have a Cafe Cap and Insulated Bottle option? This cool kids gadget features four tools in one compact case. 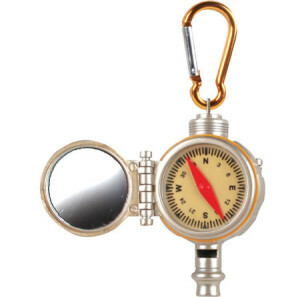 Attached to the convenient carabiner is a compass, thermometer, whistle and signal mirror. Not only is it a cool little tool for your kids to carry, but a very useful one, too. 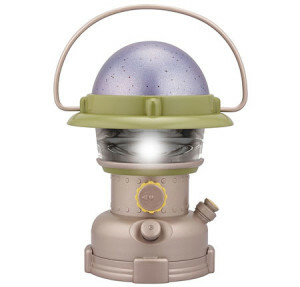 Not only is this lantern great for illuminating a pathway during a nighttime walk with fellow campers, it’s neat for kids to use indoors as well. When used inside it projects a night sky filled with stars onto the ceiling, creating the perfect environment for ghost stories and laughter bunkside. To make sure your kids don’t end up with a smelly backpack for the entirety of the camp stay, be sure to pick up a waterproof sack. 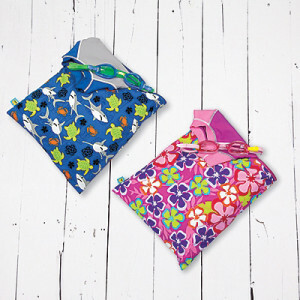 These bags feature leak-proof seams and a completely waterproof lining to keep your kid’s other items clean and dry. They are great for storing wet swimsuits, soggy towels or socks. 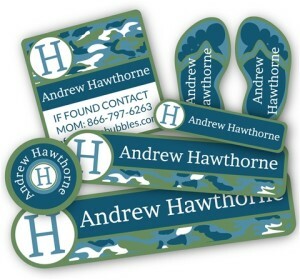 Don’t forget Name Bubbles Camp Labels to keep track of these Top 10 Must-Haves for Summer Camp and check out our Camp Checklist to alleviate the stress that goes along with packing for camp! Thanks for sharing these items. Having ‘iron knee’ pants seems like a great idea for getting through summer camp without shredded jeans.